ROBERT FRIPP & TOYAH WILLCOX: THE LADY OR THE TIGER ? 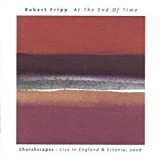 In 1986 Robert Fripp released this album, with his wife, Toyah Wilcox reading two stories by Frank R. Stockton. It is an interesting concept, and in some ways interesting, but as a whole, I would say it was a failure. The stories are interesting enough when reading them. The Lady Or The Tiger? is quite famous. But Wilcox reads them so lightly that it makes it a chore to pay attention to them all the way through. And Fripp doesn't help much. The Lady Or The Tiger? has Fripp creating soundscapes bahind the droning Wilcox. I presume any child subjected to this album would be asleep no more than a third of the way through. The Discourager Of Hesitancy fares no better. This one has The League Of Crafty Guitarists noodling away behind Toyah's reading. The music itself occasionally has some nice sounds, but all in all, it would probably make the most ardent new age fan yawn. Two stars, because it can put a toddler to sleep. I must say I was taken by surprise by the content of this CD. 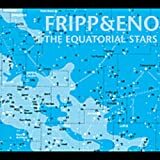 The first collaboration Fripp recorded with his wife Toyah Willcox should be an interesting item: Toyah Willcox was a new wave artist who had always an experimental, edgy side. 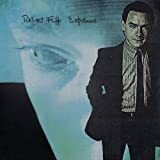 And Robert Fripp was an avant guard experimentalist who always had a melodic touch on most of his works. I was expecting a good mix of both worlds and that´s not exactly what you got here: in fact, it nothing like that. It´s just Toyah reading two stories accompanied by Frippertonics on the title track and by the The League of Crafty Guitarists on The Discourager of Hesitancy. There´s no music per se: what you got here is just background ambient sounds that do not interfere with the storytelling. So, I was quite frustrated by what I heard: her reading is too monotonous for my liking. And the background noise (this is no music as far as I´m concerned) is just that: it did not help things get any better. I´m not saying that is bad, just that is not for my taste. And to listen to it for almost half an hour (The Lady Or The Tiger?) or for twenty minutes (The Discourager of Hesitancy) was just too much. I should have read Evolver´s review before I get this CD. Well, I´m warning you. There´s a second CD where it seems the couple makes a more "traditional" music, if you will. I´m still planning to give it a try. But, boy, am I disappointed with this one! Specially if you think about the talent of the people involved. As for the rating I can only give it 1.5 stars: not exactly poor, but certainly for special tastes. And completionists. Post a review of ROBERT FRIPP "Robert Fripp & Toyah Willcox: The Lady Or The Tiger ?"